Hello Frndzzz.... www.dealsnloot.com Back With New Tata Docomo loot. 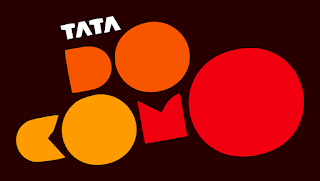 Tata Docomo is offering an amazing offer where you will get Bookmyshow Voucher Worth Rs.300 free. You just need to Download My Tata Docomo app for getting free Rs.300 Bookmyshow voucher.Download My Tata Docomo app & Get Free Rs.300 Book My Show voucher For Tata Docomo Users Only. Click here to Download My Tata Docomo App. Once downloaded, register your Tata Docomo number on the app and verify it via OTP. Once verified, from your phone send ‘BMS’ (without the quotes) to 121 to claim your voucher. “Hi! We have received your request for the Book My Show voucher code. We will send you a SMScarrying the code within 5 working days.